Gardening is a rewarding activity for such folks that love to plant. Its as much a fun activity as it is challenging. Gardening poses different types of challenges everyday which makes it essential that gardeners prepare themselves to deal with such challenges come what may. How about learning a few gardening hacks and tips that may go a long way in solving your gardening woes and contribute to better designed and fully functional gardens? Well, to learn these hacks, you don’t need to possess a degree or a certificate. All you need to do is have an ever imaginative mind and a will to keep learning. So, we are proud to present before you the top 31 gardening hacks and tips that are really clever and very useful. Do have a look! The gardening hacks that are presented today are not merely clever, but are also quite affordable, such as this one that suggests you to grow cuttings of roses in potatoes. Roses can grow and flourish really well with cuttings. However, not many of you would know that potatoes can help your cuttings propagate much better when these are grown inside them. Sounds odd, right? But, its actually so. 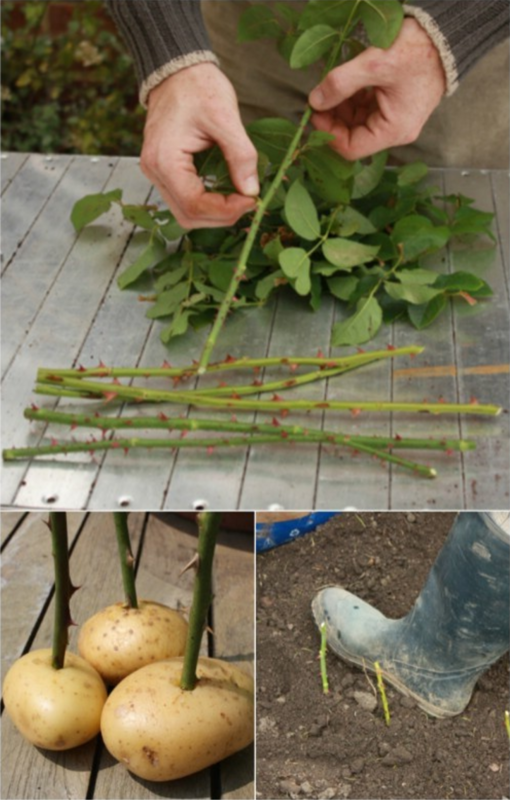 Once, you make the rose cuttings, simply, push these into the potatoes and then, bury the planted potatoes in soil. The cuttings will soon grow into healthy plants as these will get enough moisture from the potatoes. Do you always look for affordable and quick fix self watering ideas when going out of station for a few days? If so, then, do not throw away your old wine bottles. Instead, use these to turn into smart self watering bottle planters. 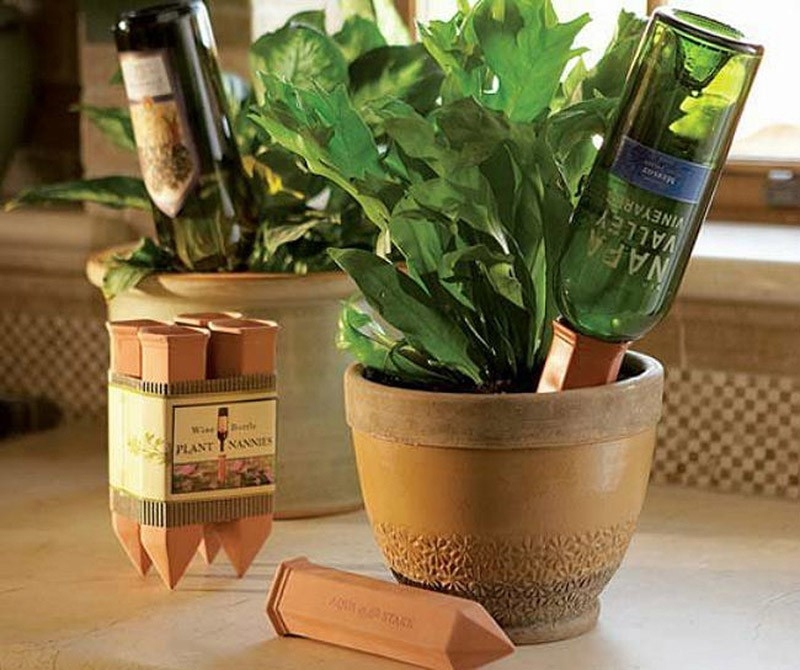 Simply push the tip of each bottle, filled with water, inside the terracotta stakes as seen in the image. Then, shove these stakes with inserted bottles inside the potted soil. The water will be absorbed by the terracotta and will get soaked slowly into the soil, thereby, keeping it fully moisturized. Learn how to make these self planters here. There is a very easy way to water plants when you are out of town, and it makes use of paper towels and water filled jars. Its easy and you have to merely roll up a few paper towels like ropes and then, put the ends in the jar to soak them with water. Now, dunk one end of the towel into the pot, near your plant. This will keep the soil moist for a long time. If you have a couple of broken pots, then, its probably time to make something useful out of these. How about turning these into vegetable garden markers? Its a simple hack anyone can do at home. Take your broken pots and bury these into the garden bed with their tops visible. Now, fill with soil and plant your veggies or herbs. Label each pot with the names. You are done! If you have a mosquito problem affecting your garden and areas nearby, then, here is a very clever and easy way to tackle them. 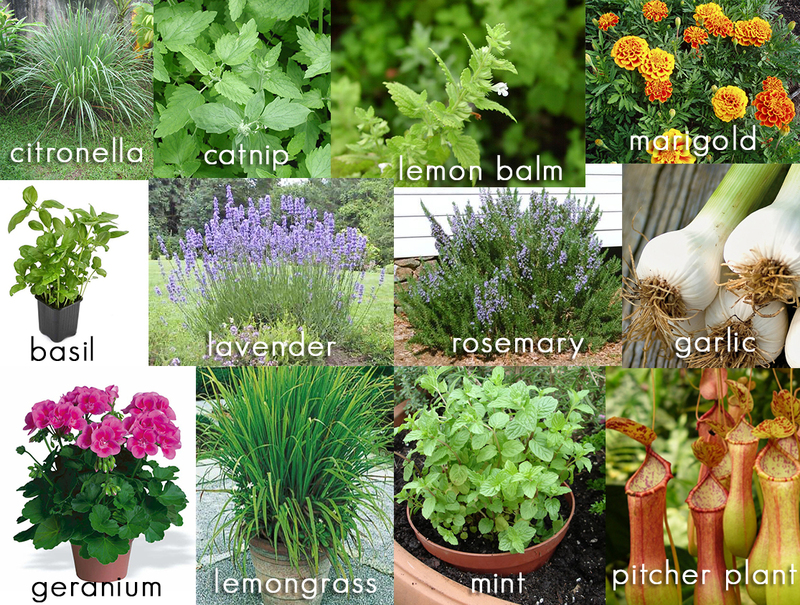 Plant such herbs that are repelling to mosquitoes and keeps them away. There are plants like lemongrass, catnip, lavender, rosemary and garlic that are helpful as these deter these pesky blood suckers with their repelling fragrance. 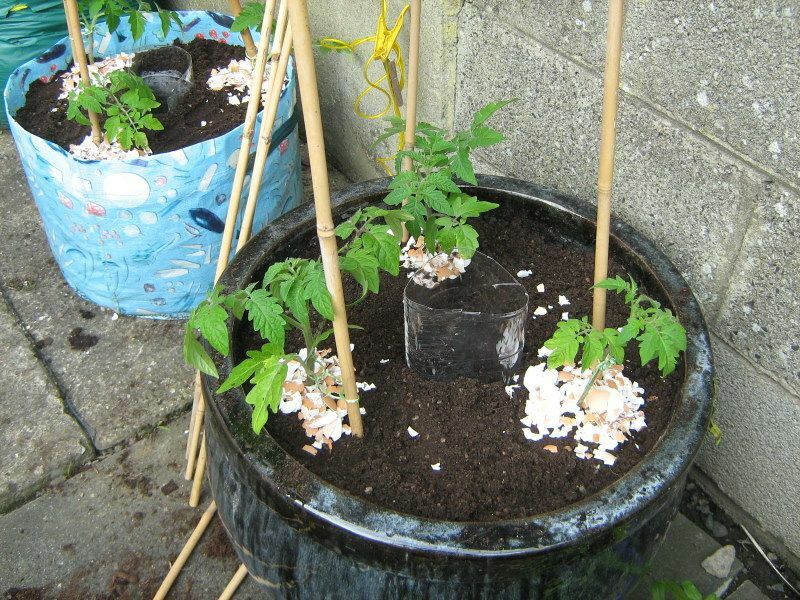 In this list of awesome garden design hacks is the one hack or tip that makes use of eggshells to repel pests. Many a times, common pests like snails are seen to chomp away our precious greens planted in gardens. How do you tackle these as cleverly as possible? Well, make use of coarsely crushed eggshells. Line your plants with a circle of eggshells and keep these pests away. Vertical gardening is a boon for such folks that have very small gardens or backyards. You can make use of old things like ladders to be turned into good looking planters with the help of this awesome idea. Water is a prime component that helps in keeping plants alive. But, what do you do when you are living in not so favorable regions, i.e, places that have water scarcity? Well, you simply store or collect water for use in the garden! That is what this easy hack is all about. Simply, place a rain barrel right below a spot that will help in getting the rain water directly to it. Use the water for dry days. Here is how you can make lovely markers using garden stones that are freely available. Take a few round edged pebbles or rocks. Then, paint the names of fruits or herbs as you want. Write anything that you wish to make the markers look funky. These can then be placed in front of your fruit plants or herbs in the garden. Vegetable gardening hacks such as those shown here are not merely easy for all to follow, but are also budget friendly. Most of us throw cooking water once we finish cooking. But do you know that this water contains essential nutrients, that, when applied to plants can help them grow and propagate nicely? So, from now on, do not throw this cooking water. Instead, use it to water your plants and flowers. This water will act as a natural fertilizer. How often do you use store bought weed killers to kill weeds pestering your garden? We guess, its often. But, now, you no longer have to visit the store for buying these harmful chemicals and sprays because you can use vinegar to tackle the weeds. 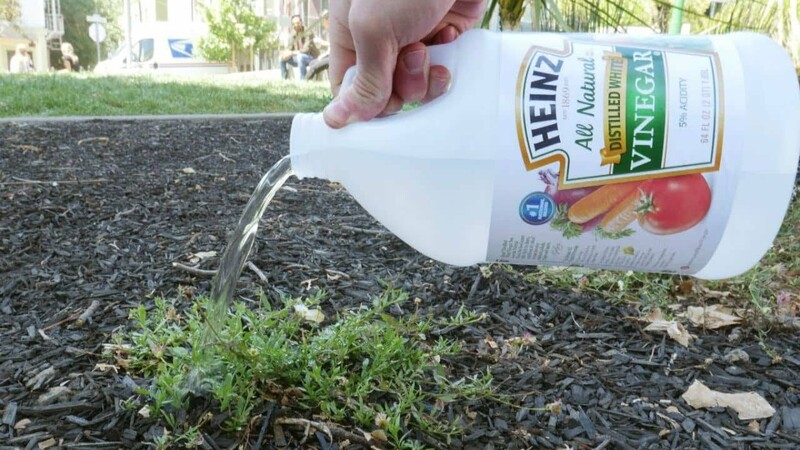 Simply, spray vinegar on the weed growth that you want to eliminate. Its that easy and simple! Do not throw away the peels of your oranges or lemons? You can make use of these to start seedlings of plants. 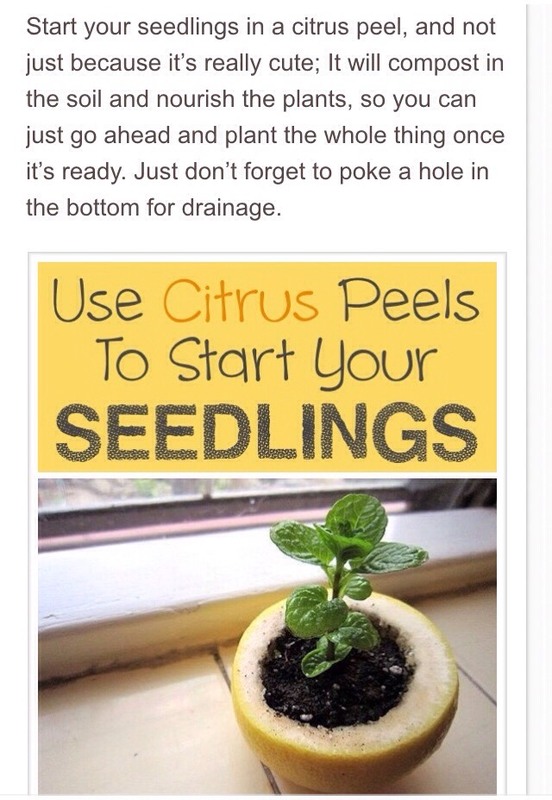 Simply, fill the peel with potting soil before drilling a hole in its bottom. Sow your seeds and the water. In no time, you will notice that tiny seedlings have emerged out of the soil. Learn more about it here. Gardening hacks and tips are meant to make gardening a cherishable job rather than challenging. One simple tip is to make your own fertilizer using scraps that are collected from the kitchen. 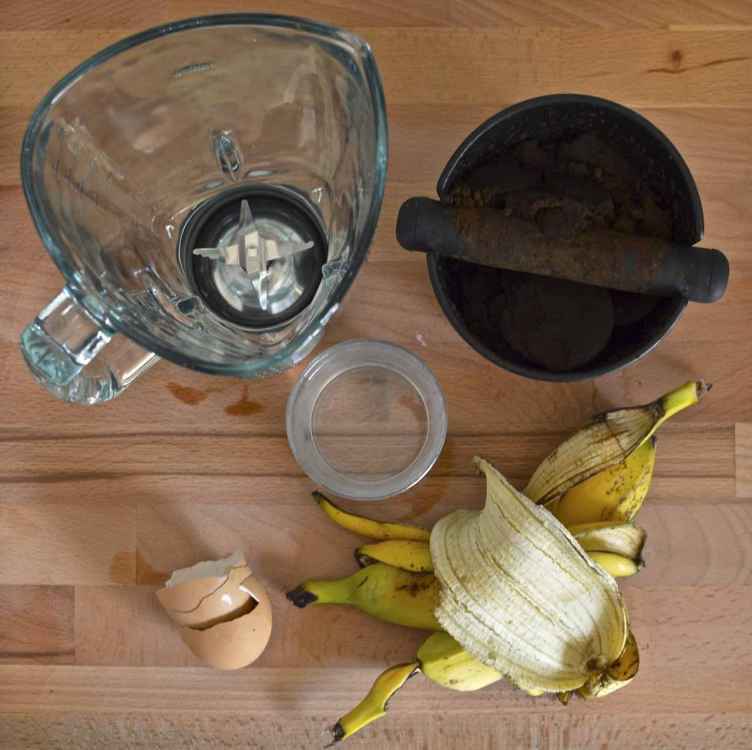 These may include banana peels, eggshells, coffee powder and veggie peels. You can make a fully organic compost to nourish your plants. Every house has its store of toiletries among which the toilet paper rolls are quite common. How about using these for growing seedlings? Well, this idea is very cool and is quite cheap. All you need are some empty paper rolls that you may paint or decorate. Then, fold the bottoms, and fill in the potting soil. Sow the seeds and water. Vegetable gardening hacks often suggest you to make use of ordinary things that are easily available right at your home or garage. If you have animals like squirrels and rabbits visiting your garden often, and you wish to deter them from entering and rampaging your precious greens, then, there is a clever way to prevent this. Use your old plastic forks and spoons. Simply, place these in the garden bed with their spokes facing upward where the animal entry is the maximum. This will stop any rabbit or other animal to come close to the plants. Here is another quick tip to ensure that your seedlings remain free of disease and fungal growth. Use cinnamon powder directly on the seedlings to prevent them from getting affected with various diseases. Sprinkle the powder around and on the seedlings, and you are good to go! 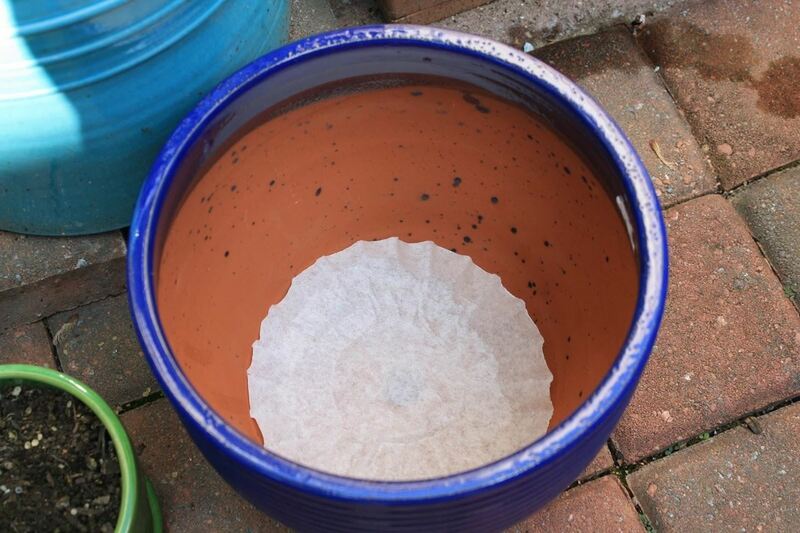 Coffee filters may prove to be helpful when you are thinking of re-potting a plant in a pot or a container. Its always quite frustrating to see the water added to a potted plant getting drained away from the holes instantly. Now, you do not have to face this problem again. Simply, place a coffee filter at the bottom of the pot to line it and prevent the soil and water from draining out fast. Using old and re-purposed pallets are quite in fashion as more and more number of people are opting for DIY and natural hacks and designs. 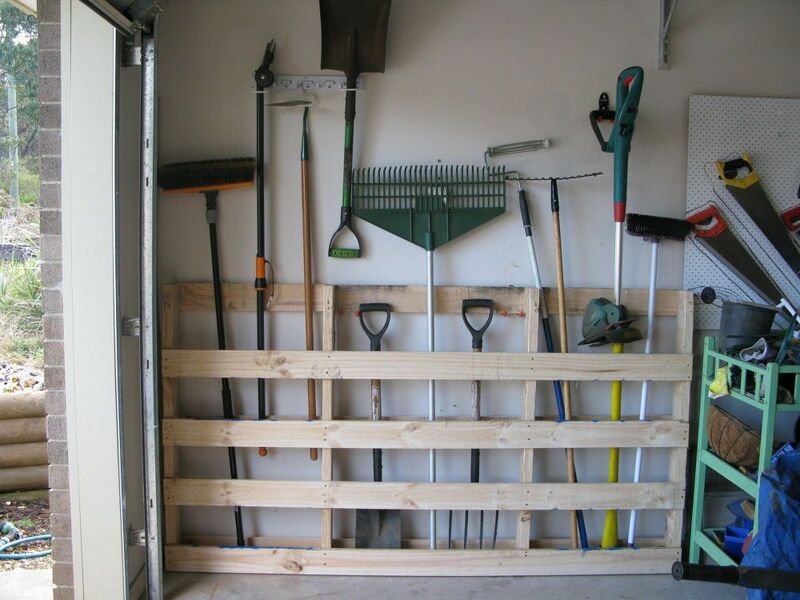 One such clever gardening hack is to make use of an old wooden pallet to be used for storing gardening tools. You can get a pallet either made at home, or can also buy a recycled shipping pallet. It will look rustic and is a perfect place for storage. Using broken pots are one among the awesome container gardening hacks showcased and explained today. You no longer need to discard your broken pots. Now, you can collect these and turn them into a lovely looking fairy garden, like the one seen above. Simply, break the side of the largest pot, then, add potting soil to it, and place the broken piece inside in any shape. Now, add some more soil and repeat this till you get a layered look. Then, plant flowers or plants as per your choice along with pebbles and other decorative pieces like fairy houses and trees. Use old cups and saucers as bird feeders in your garden. This is a very easy project and you can add many variations to it depending on what you want. Select a spot on a tree branch. Then, take a vintage tea cup and saucer and then drill holes so as to hang these from the branch. 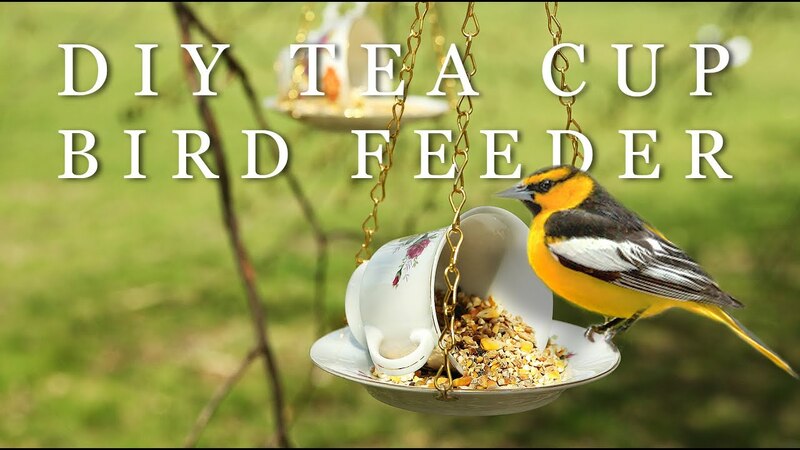 Place bird feed in the teacup and saucer. Birds will soon start visiting your garden and make it a chirpy little place of heaven! One must think of using DIY ideas while gardening as DIY is harmless and natural. Honey is used for a number of reasons. But, do you also know that it can be used to keep the cuttings of flowers healthy and enable them to grow and propagate well? Yes, its true. 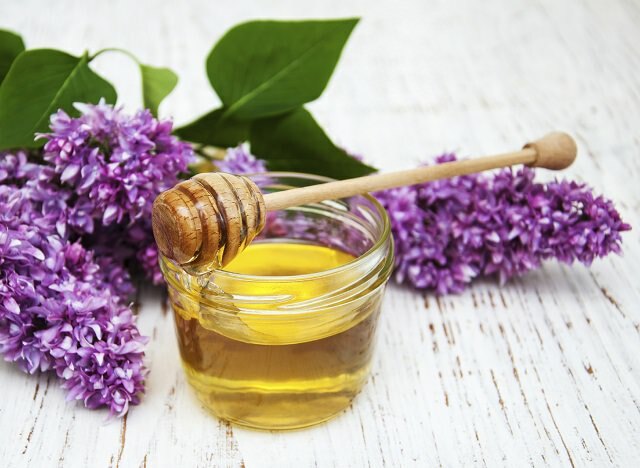 Honey contains enzymes that encourage the roots to grow and flourish. It also protects them from many fungal diseases. Here is a very nice tip among the rest of the gardening hacks presented today. And, it will ensure that your garden becomes a Mecca for hummingbirds. If you want to attract these lovely birds to your garden, then, simply plant such flowers that attract these feathery creatures. Flowers like Cardinals, Delphiniums and Gayfeathers attract these birds with their stunning colors. If you have a small garden but wish to grow lots of flowers and plants, then, its best to build raised garden beds. When building raised beds, why not use cement or cinder blocks instead of using wood that is more expensive? Collect a few cement blocks and turn these into a raised garden bed for your seasonal flowers and herbs. The best part about using these cement blocks is that they can be used as planters themselves, plus, you have the whole area of the raised bed to plant more varieties. Old bottles of milk can now be used as watering cans for watering your plants and flowers. 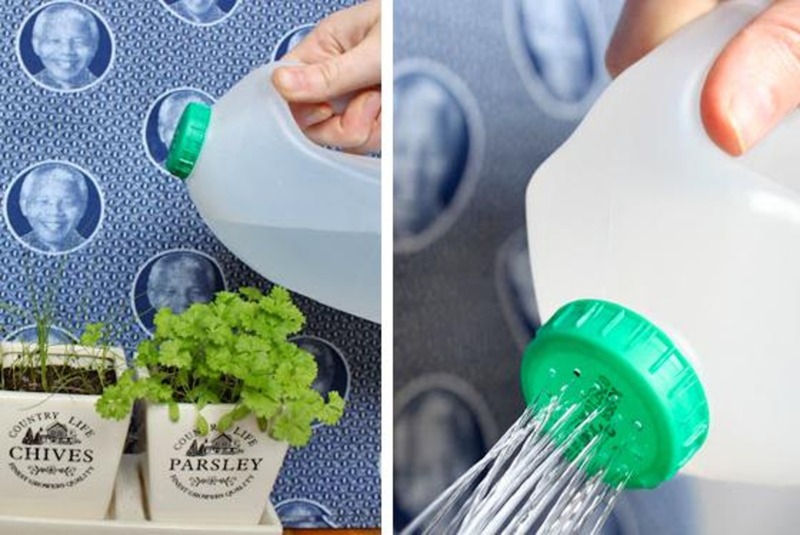 This is a simple hack in which you have to convert an old milk bottle or jug to a watering can. Heat a needle and then, use it to poke holes in the lid or the cap of the bottle. Now, fill water inside and start watering. Its a clever and easy hack every new gardener must try! Turn your old terracotta pot into a self sharpening garden tool holder with this amazing gardening hack. Select a pot and then paint to make it appear beautiful. Now, fill the pot with abrasive soil and mineral oil. This is done so that the sand and oil combine together to sharpen your tools whenever you put these inside the pot. Read more about this clever idea on One Good Thing. Garden design hacks often make use of old pots and containers to be converted into something extraordinary, such as fountains. Seen here is a beautiful garden fountain made of terracotta pots. In every garden, there is always a collection of pots that are no longer used. Collect these, paint, and then, place these on top of one another so as to form a tiered water fountain. Insert a tap or a tube that will take water to the pots and fill these up with decorative rocks. This idea to use diapers may sound weird, but, it is actually beneficial as diapers retain moisture. 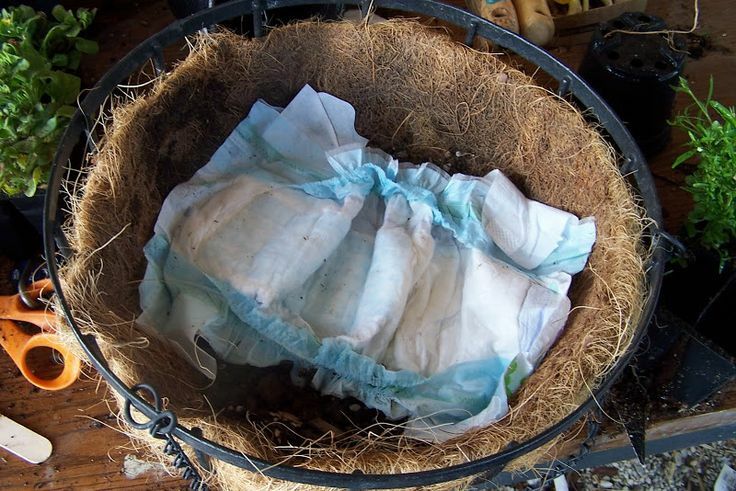 Before planting, place diapers with their absorbent sides facing up, and then, add potting soil. Plant. This will ensure that your soil remains moist for a long time. You can use this effective hack for hanging pots as well. Gardening hacks of modern times encourage gardeners to make use of easily available things. One such thing is the common baking soda that can immensely help in producing sweeter tasting tomatoes. Simply, sprinkle some baking soda in the soil where tomatoes are planted. This will make the acid level go down and thereby, produce sweeter tasting tomatoes. Melons keep growing heavier as time for harvest arrives. But, these fruits tend to break from the vines while growing. So, here is one cool and clever hack to ensure that melons stay at their spots till they are plucked for consuming. Just put melons like cantaloupes in slings made out of old shirts or pieces of cloth. This will offer a support to these fruits. If you want to preserve your veggies like potatoes for the winter, and are searching for a place, then, read this hack which suggests you to make use of old freezers. Buy a second hand freezer and then, put veggies inside it. Now, bury it inside the soil. When the winter season wears away and the next season arrives, you will get fresh veggies out of your freezer, though, you may spot a little sprouting, specially in potatoes. This is yet another awesome hack among these clever container gardening hacks mentioned today. This will motivate you to use your old bath organizer as a planter. You can get yourself a wrought iron bath organizer if you wish, and then, place some cloth material in which to plant flowers. Fill it with potting soil and plant. These planters can be hung either inside or outside in your patios. Gardening need not be a challenging task anymore. Now, you can successfully grow plants and veggies to your heart’s content whenever you want. Simply, follow these clever and awesome gardening hacks that have been showcased today. Believe it, you will thank us for showing you the way!